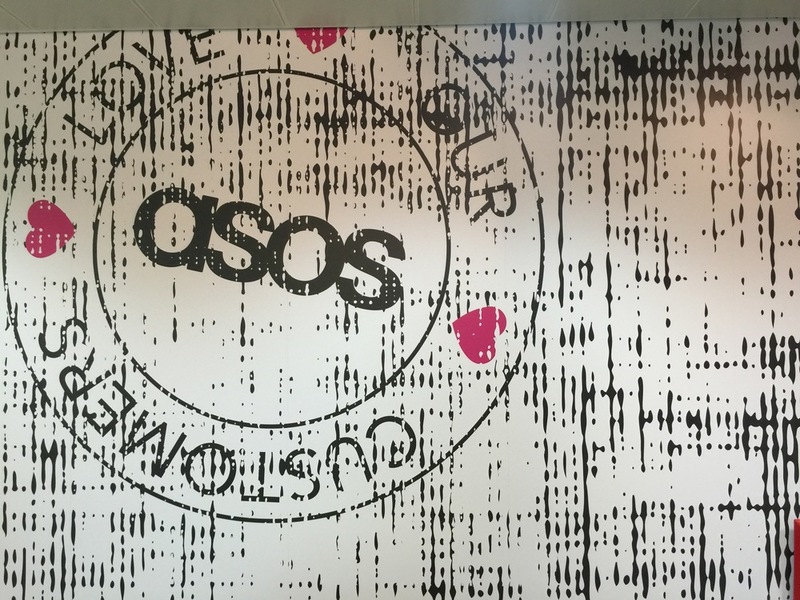 ASOS Customer Service Centre in Hemel Hempstead underwent a full make-over, designed by MCM Architecture and executed by Adam Bourn Creative Services. The modern office unit was smart enough, but the bare walls did little to reflect the brand of the fashion retail giants. We installed digitally printed wall vinyl, manifestation to glass partitions, a bulldog-clip notice board and a bespoke digitally printed giant pin-board. ABCS also undertook all dry-lining and decoration works to walls and skirtings.